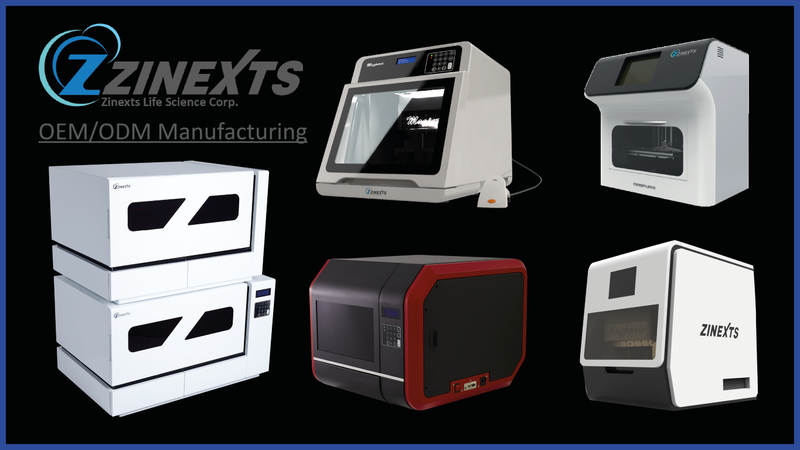 Services | Zinexts Life Science Corp.
Zinexts Life Science offers a wide range of OEM/ODM Manufacturing solutions in developing, designing and manufacturing of robotic instruments. ​Recognized and global operating companies from the USA, Germany and Australia trust in our Services - Experience the same and contact us via sales@zinexts.com, to discuss your future project with us! Experienced & Knowledgable - Zinexts Life Science OEM/ODM Service! Before starting any new project, we establish a user requirements specification in accordance with regulatory approvals. This charities the objective of the project for both client and Zinexts Life Science. Well-established mechanics are used throughout, to ensure that we provide robust designs for the demanding use of our instruments in different application areas. Our experienced teams offer reliable, fast and precise movement control on every robot that we development. We will provide you precise and reliable heating and cooling modules in standalone units or integrated into robotics. With integrated cameras and bespoke scanners, we can automatically capture the developed result of the processed assay. Sample tracking is archived using integrated or handheld barcoding modules. Whether using a Graphical User Interface on an integrated touch screen, or using a keypad and display. The operator interface will allow accurate operation and easy handling of the instrument. Zinexts Life Science can offer you customized software solutions for bespoke standalone applications and embedded systems. Many of our instruments have an integrated industrial PC, for connection to laboratory information systems and third party interpretation software.